Here’s what I’ve been working on! 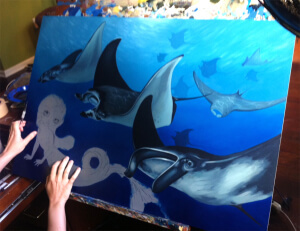 The other piece I’m working on now is a HUGE mermaid piece with Manta Rays! 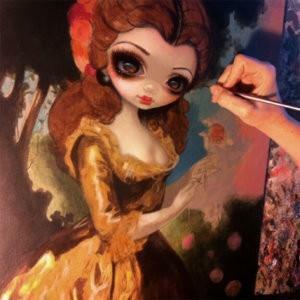 Almost done with this one, so check back at strangeling.com soon…..